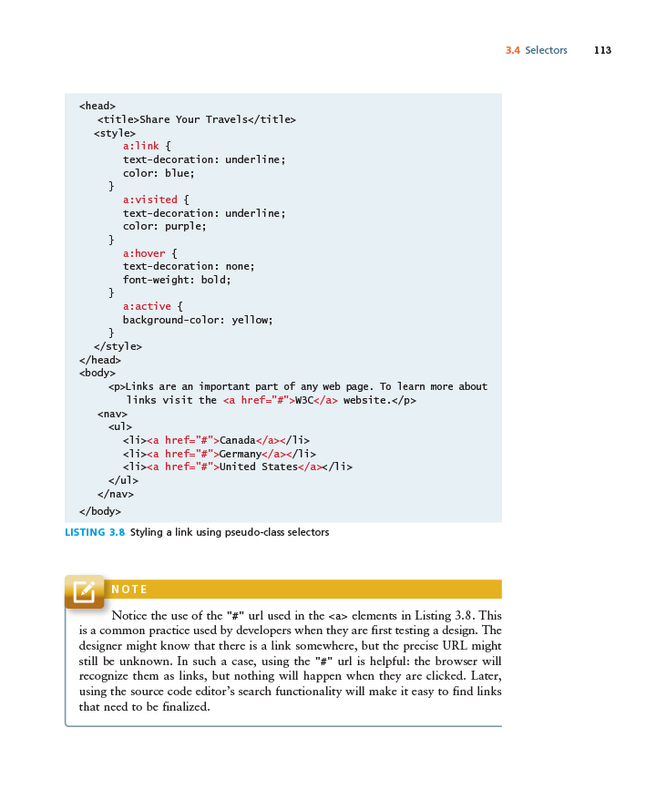 Due to continuing sales and university adoption rates, our publisher has asked us to accelerate our plans for the next edition of the textbook. The new edition should be out around March 2017, which means we will be writing our revisions in the spring and summer of 2016 in order to meet the manuscript deadline of September 2016. While apprehensive about all the work ahead of us, both Ricardo and I are quite eager to work on a new edition. 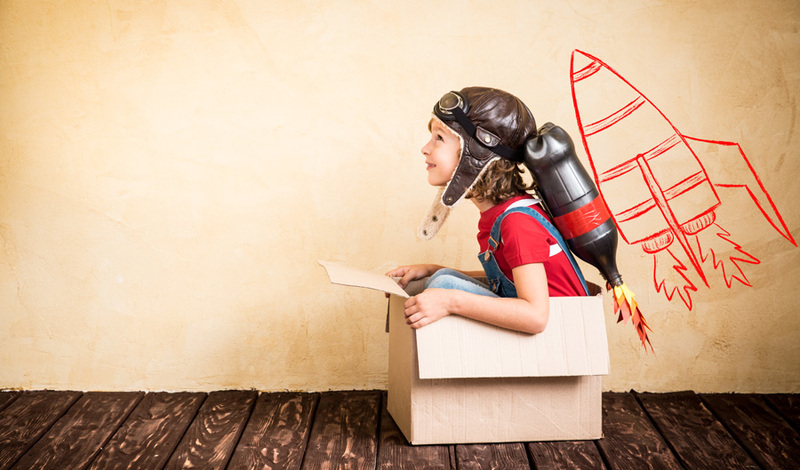 The rate of innovation and change within the web development field is quite notorious. 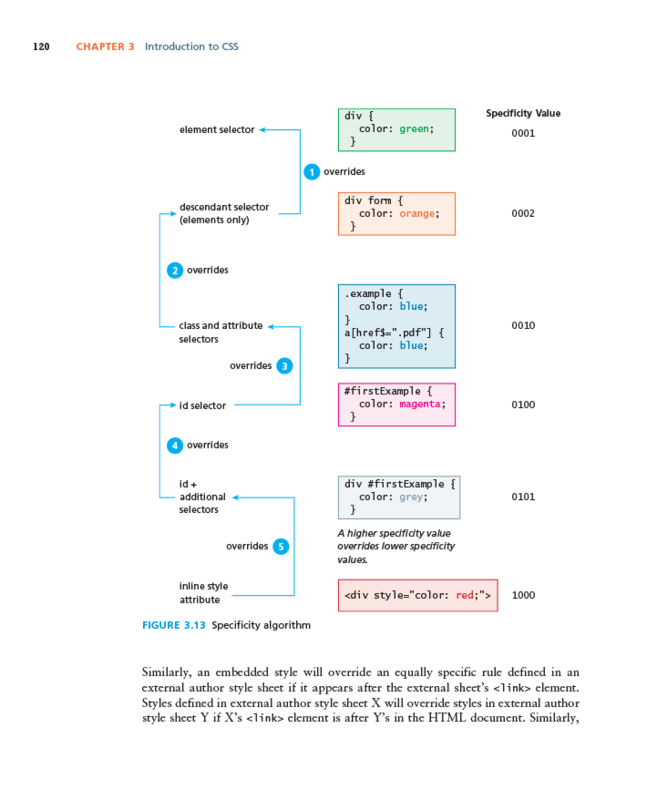 There indeed has been quite a bit of innovation and change within the larger world of web development in the time since we finished the initial manuscript of the first edition in August 2013 … changes that we are planning to include in a new version of the textbook thereby keeping it useful to a new generation of students and professors. 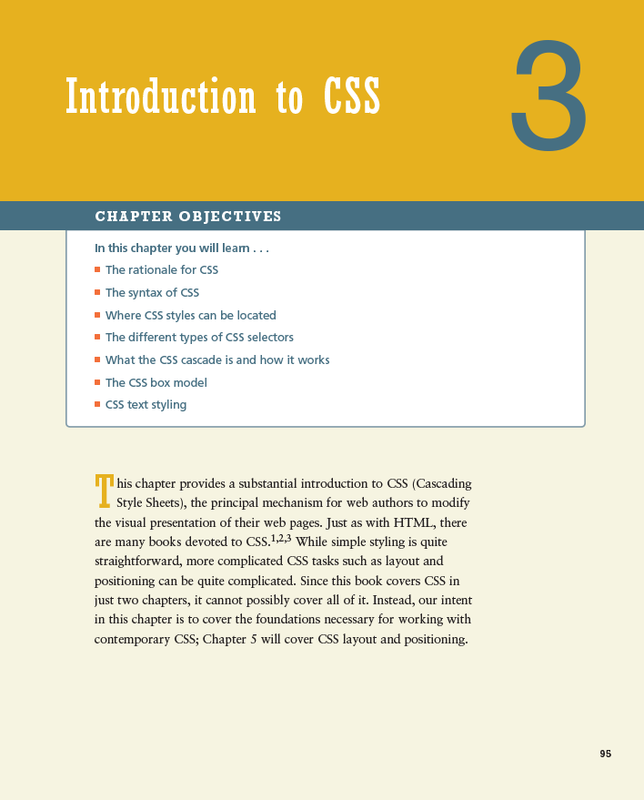 Expanded coverage of the newest features of CSS3 and HTML5. When we wrote our early chapters on HTML and CSS (in late 2012 / early 2013), the W3C recommendations for HTML5 and CSS3 were still in flux. 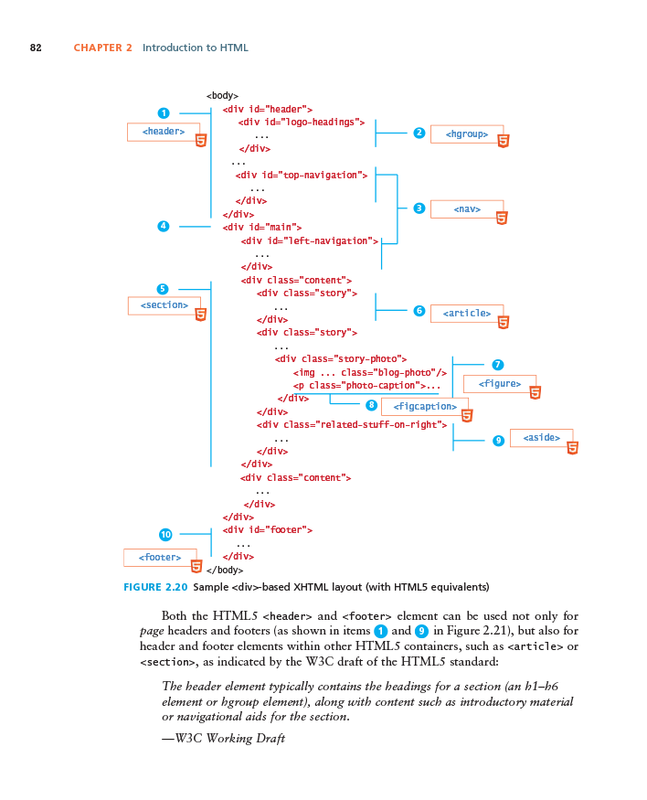 HTML5 wasn’t finalized until Oct 2014, while different parts of CSS3 are still awaiting finalization. 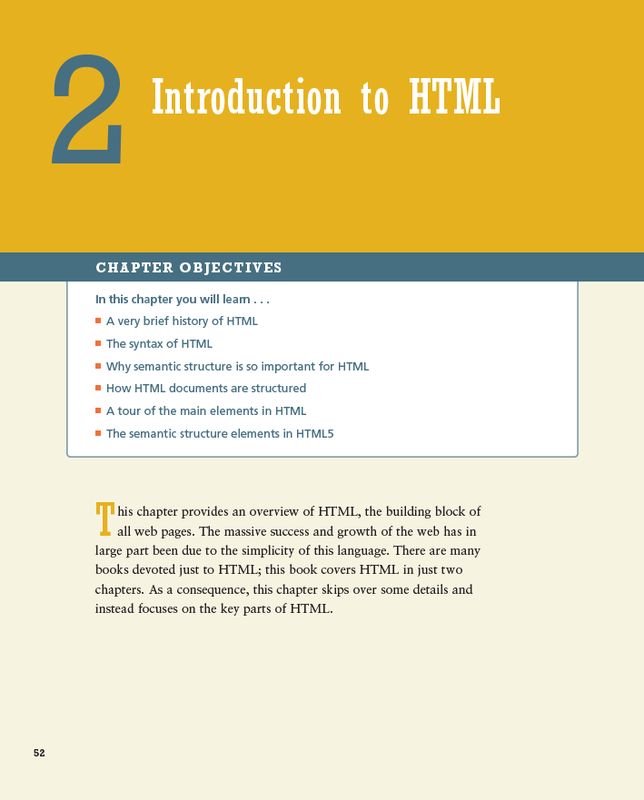 There are some additions and modifications needed for chapters 2-5 that reflect changes in HTML and CSS since 2012. 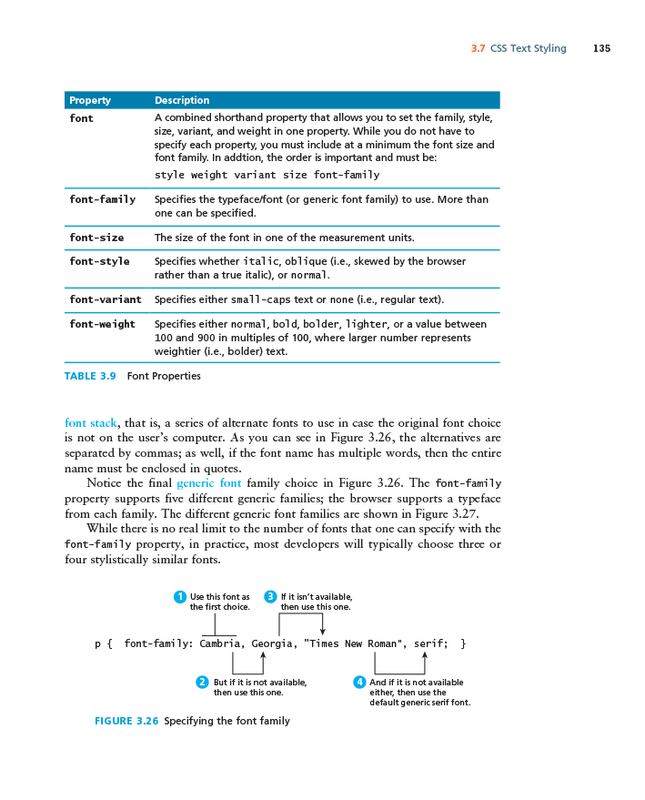 More practical advice and guidance on constructing responsive (i.e., adaptable for mobile devices) layouts in chapter five. Frameworks are even more important now than they were five years ago. We would likely want to add in more insight and variety to chapters 5, 14, 15, 17, and 18 so as to include more of these development frameworks. 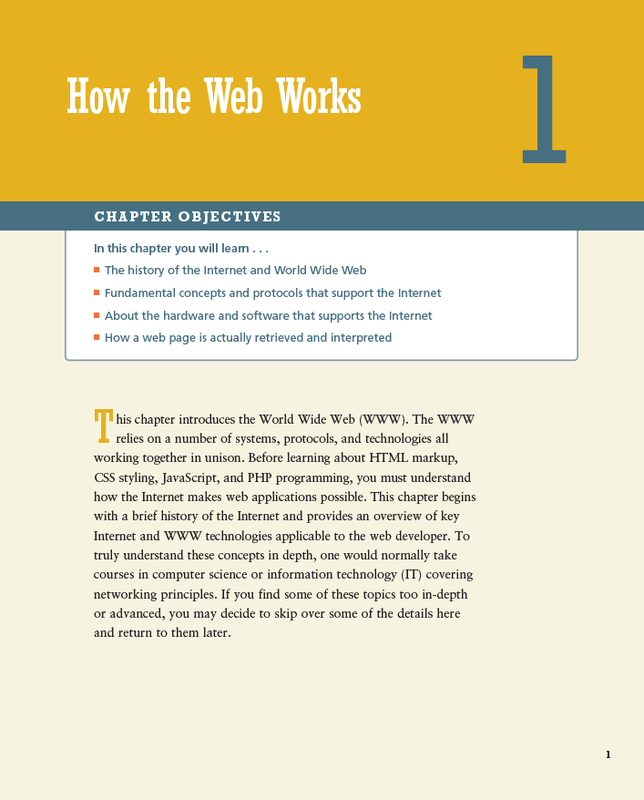 While there are always “hot new things” in web development that seem to be the future and then quietly fade into obscurity, we do think it will be useful to continue the book’s pioneering coverage of those frameworks that appear to be reaching a critical level of support within the industry. 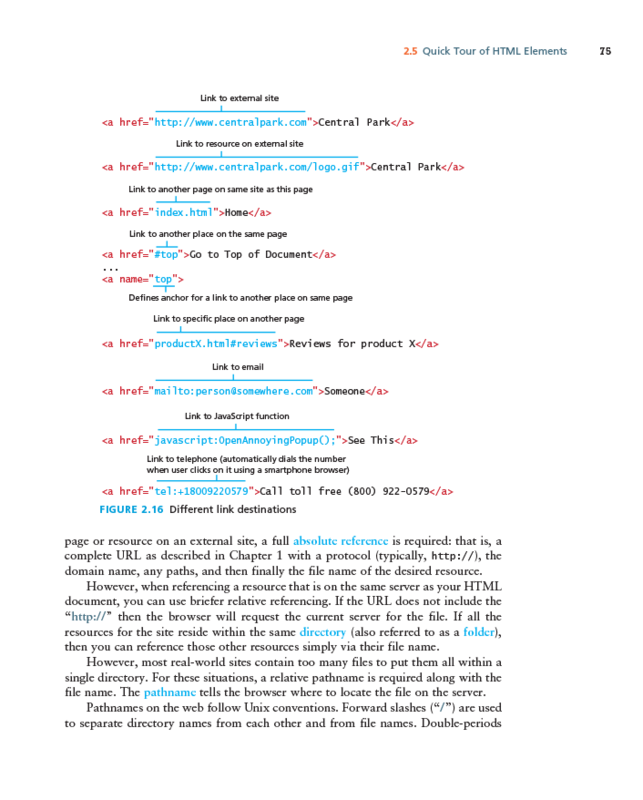 Revision control is now an essential part of the web development workflow. We would like to add at least some discussion of tools like Git or subversion and their place in typical web development. 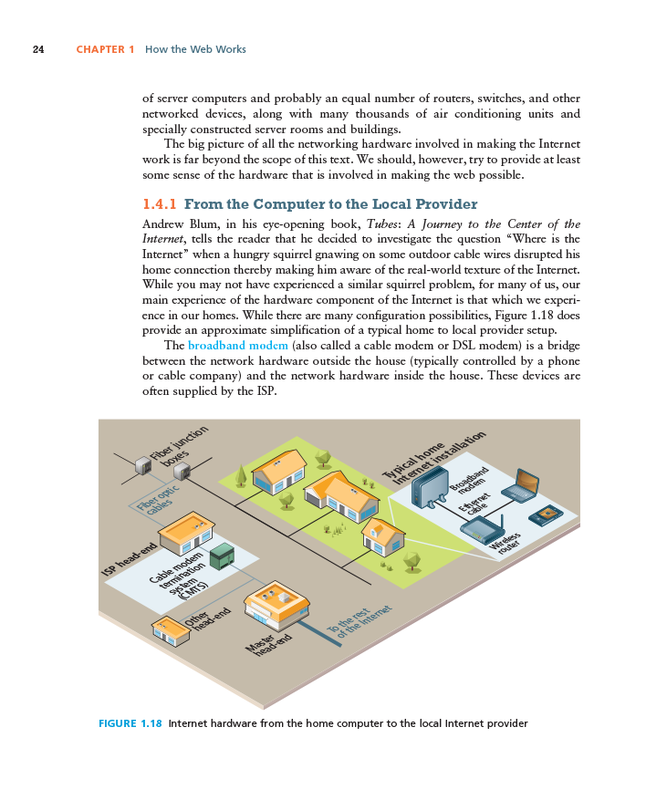 Expand the coverage of “big data” and “cloud data” in chapter 11 on databases. This would likely include even practical examples of integrating large no-SQL databases such as MongoDB. Single Page Applications (SPA) provide a user experience that is analogous to native desktop applications. 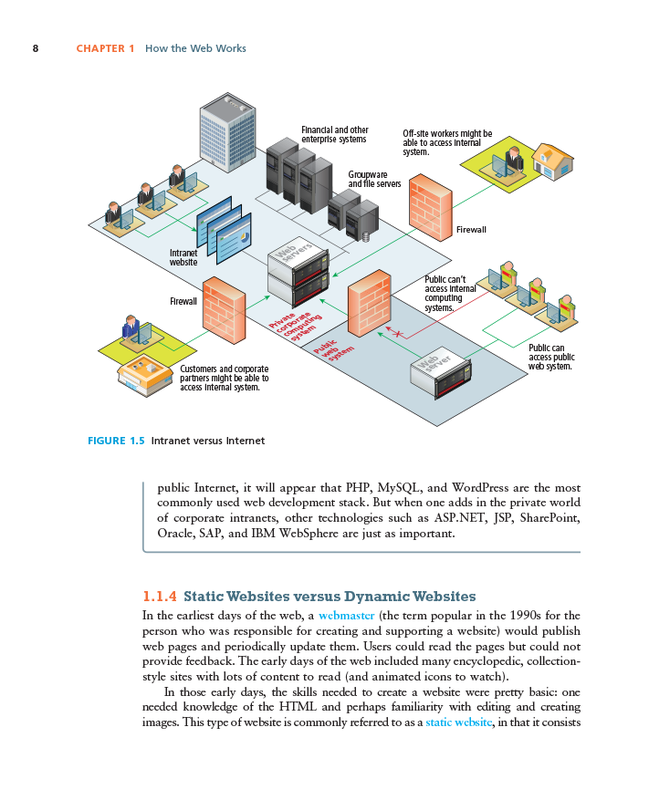 These types of web applications make use of the web technologies covered in the book, but typically require a specific set of unique architectural design approaches. 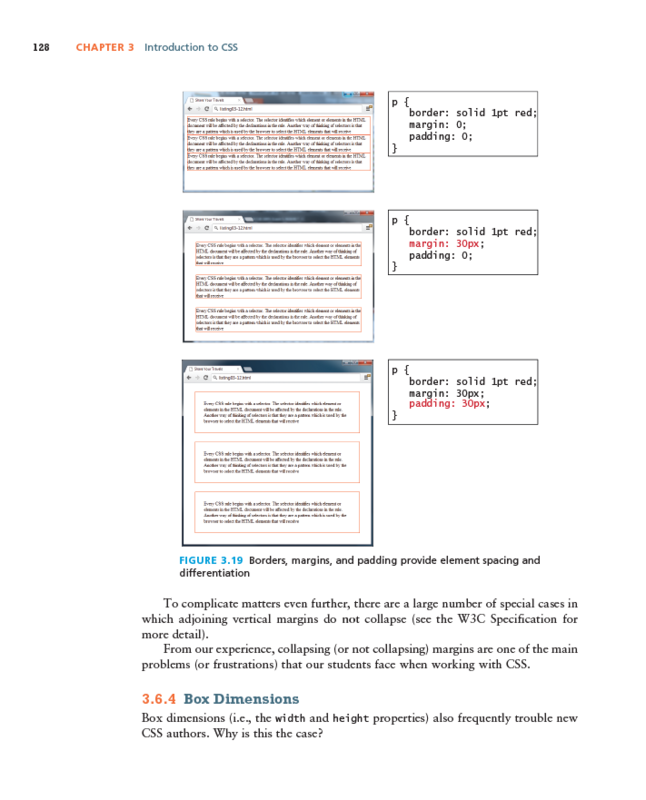 We would like to modify one of our book’s case studies to be a Single Page Application.